Bazna Kings tournament appeared on the international chess scene only two years ago, but already on the next month they will be staging the strongest event ever to take place in Romania, with the field of players with average rating of 2729! 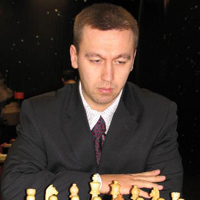 The organizers ROMGAZ Association and Chess Club “Elizabeth Polihroniade” Bucharest have adopted a new tournament format – six players double round robin to be split between Bucharest and Bazna. 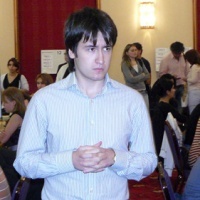 Invited players are Teimour Radjabov (Azerbaijan, ELO 2756, 5th place in the world), Vassily Ivanchuk (Ukraine, ELO 2746, 12), Alexei Shirov (Spain, ELO 2745, 13), Boris Gelfand (Israel, ELO 2733, 15), Gata Kamsky (USA, ELO 2720, 24), and Liviu-Dieter Nisipeanu, the best Romanian player ever and former European champion in 2005 (ELO 2675, 55). After the festive opening, scheduled for 13th June in the Capital, the first half of the competition will take place between 14th and 18th June in Bucharest, and the second leg returns to Bazna on 21-25th June. Bazna is a stylish resort near Constanta and the host of the first two Bazna Kings editions. More details and official website to be announced later.